The contents of this post are an alphabetical arrangement of two lists that have been circulating among writers and editors for many years. In case you have missed out all this time, I’m sharing here the wit and wisdom of the late New York Times language maven William Safire and advertising executive and copywriter Frank LaPosta Visco. 1. A writer must not shift your point of view. 2. Always pick on the correct idiom. 3. Analogies in writing are like feathers on a snake. 10. Comparisons are as bad as clichés. 12. Do not use hyperbole; not one in a million can do it effectively. 13. Don’t indulge in sesquipedalian lexicological constructions. 14. Don’t never use no double negatives. 15. Don’t overuse exclamation marks!! 16. Don’t repeat yourself, or say again what you have said before. 17. Don’t use commas, that, are not, necessary. 18. Don’t be redundant; don’t use more words than necessary; it’s highly superfluous. 21. Eschew ampersands & abbreviations, etc. 24. Everyone should be careful to use a singular pronoun with singular nouns in their writing. 26. Foreign words and phrases are not apropos. 28. Hopefully, you will use words correctly, irregardless of how others use them. 29. If any word is improper at the end of a sentence, a linking verb is. 30. If you reread your work, you can find on rereading a great deal of repetition can be avoided by rereading and editing. 31. It behooves you to avoid archaic expressions. 32. It is wrong to ever split an infinitive. 33. Never use a big word when a diminutive alternative would suffice. 35. One should never generalize. 37. Parenthetical remarks (however relevant) are unnecessary. 38. Parenthetical words however must be enclosed in commas. 39. Place pronouns as close as possible, especially in long sentences, as of ten or more words, to their antecedents. 40. Placing a comma between subject and predicate, is not correct. 41. Poofread carefully to see if you any words out. 42. Prepositions are not words to end sentences with. 44. Subject and verb always has to agree. 45. Take the bull by the hand and avoid mixing metaphors. 46. The adverb always follows the verb. 47. The passive voice is to be avoided. 49. Use the apostrophe in it’s proper place and omit it when its not needed. 50. Use youre spell chekker to avoid mispeling and to catch typograhpical errers. 51. Who needs rhetorical questions? 52. Writing carefully, dangling participles must be avoided. Oh, and let me add one tip: If your article consists of a list and the title refers to the number of items in the list, count the number of items in the list carefully. Bah! you tell use to avoid cliché, and then you make a list of 50 clichés for hack writers! I defy anyone to agree that to go boldly is a better phrase then to boldly go! More mentors and less pedants I say! This is very informative yet amusing to read. It’s going up above my desk for sure. Will be one of my top lists! Shouldn’t be better to say : How to write well? Number 4, is incomplete? Number 28 shouldn’t it say: regardless? A lot of major authors break at least 25 of these rules (if not more,) sometimes in the same paragraph. Not saying there isn’t some good advice here, I’m just thinking most of it does not apply to fiction. I love your mail tips, but “How to Write GOOD”? Good vs. Well should be a tip of its own. Shouldn’t it be “How to write WELL”? Now I get it! Wit and Wisdom are the key words here. The title was only following suit. Now that I’ve gotten “into it”, I think this should be a part of an employment test, especially for a local news writer. I see things like this every day (sprinkled in among the pages and pages of ads, of course). @Pit, did you read the rest of the article? Good writers write well. 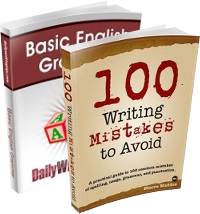 These good tips are for the good writers who will fill the writing well well. I might need to read them again (you, too, Pit). It should be how to write well…I thought this was a pun at first. Very cute with all the appropriate mistakes in each sentence. Also excellent advice! @AJ Beamish: Any “rule” of art (and literature IS art) can be broken, as long as one knows what they’re doing (or are extremely lucky and hit the right mark with the audience). The thing is that up-and-coming writers inadvertently end up handicapping themselves by making their thoughts jarring, confusing, and unpleasant to read, putting the reader off, no matter what the content is. By knowing the rules for grammar, clarity, objectivity, and plain-old forcing oneself to actually work and think instead of just dumping in familiar phrases, one can know how to manipulate them. Most of the uniquest authors write welly, when they dont try to cowtow to the straight and narrow minded rules, get lead around by a nose, and stray off of the usual brow beaten road. At least I think. Heh. It took me a little bit to realize that this is actually a parody, since it takes the self-demostration too far. Beautiful, hilarious, informative, relevant, fresh, and witty — what more could one ask in an article? Of course, as AJ Beamish noted, many major authors do break these rules with impunity. They have the sales figures to allow them that leverage so they can be like the proverbial 500 LB gorilla that sleeps wherever it darned well pleases. But I think any writer can bend any of these “rules” a little now and then, as appropriate, and not suffer too badly for it. As in all things, use moderation. That last paragraph had me confused . . . until I read it over again. Sneaky, very sneaky. Very nicely done. Many thanks. Mark, I’ll bet you found your post a real eye-opener, considering how many people corrected your “mistakes.” If they thought those were mistakes, they missed a lot more, and some real lulus at that. I’ve used this one with my students, silently observing how long it took each one to realize what they were faced with. Great list! There’s more to it than meets the eye. In fiction? Something tells me it is the wilful disregard for all these that conceives a classic! I LOVED this! Especially, because I make all the mistakes mentioned!!!! In my view,such assertions propose and hypothesize a contextual framework that restricts the art, logic and feeling for the passion to communicate ideas to readers in a meaningful and purposeful way. Such tips are abstracts constructs that lead to a constrained narrative style that is in conflict with the natural artistic sense embedded in fashioning and organizing the splendid and varied personalities of words. So let us remember that when editorial powers act blindly, restrictively or corruptively towards the art, poetry reminds us of its limitations, instills its richness and diversity thereby cleanses the art of such tyranny. One does not write good. One writes well. If you’re going to do a post on how to write, at least learn how to use the language you’re using to communicate to your readers. I’ll proudly pass it off as mine. I can’t believe that people are actually correcting these rules. I’m 17, and English is my SL, and I understood that it was a parody on the second rule. Given that you know that a person writes well, and not good (although you can’t spot humor if it hits you in the face with a pan) I presume the writer of this article knows it as well, and is indeed only trying to make a joke. That said, these rules are fine, but I would apply the rule 35 in this case. This is a brilliant list, one that makes you think AND makes you smile! How to write ‘good’ – Is that acceptable? How to write good… what??? …good letters? …good essays? Why did you use the adjective? 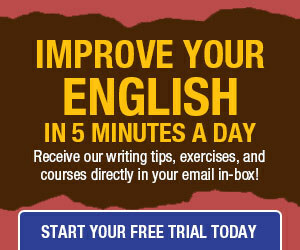 Isn’t it an adverb that’s required — as in ‘How to write WELL’? A job well done. You are a good writer, or is that a well writer. A little humor with a long list is well taken. Thanks for all your great posts. I’m amazed how good you’re at cranking one out everyday. In reading the comments, I’m amazed by the number of people who demonstrated their clear inability to read with comprehension. Personally, I thought it was one of the best columns you’ve ever written. Clever stuff. OTOH, maybe it was just a test to weed out the idiots, or to identify the sanctimonious types whose only goal is to zip through your posts, not to read the content, but to smugly point out any errors you may make. I can’t believe how many of y’all missed the joke, LOL! ;-). Writer’s First Commandment: Know Thy Reader. Writer’s Second Commandment: Write For Thy Reader. It seems as though a lot of people have no sense of humor here. He writes an article on “How to Write Good.” YES, the title is WRONG, but did you guys not read the list? Almost every number has the mistake in the sentence that he is talking about. The title is going with the humor of the pieces. Come on guys… Lighten up a bit here. I am sure all that criticised were too polite to note you had, despite the title, 52 points. The last paragraph said it all – well (good) done! Some of these comments make me sincerely question average reading comprehension levels. It reminds me of those trickster quizzes in elementary school. The teacher urges all students to read the directions of a 10-question quiz. The directions explain to read all the questions first. Students reach the end. Question 10 says: “Do not answer any of these questions.” Everyone’s annoyed because no one paid any attention. Not the perfect analogy, but it feels like a similar essence. Fantastic post! It just goes to show that when you know the rules, you can break them for effect. Great stuff. Also, funnily enough, you should never use non-existent words, irregardless of whether you’re in agreeance with them or not.